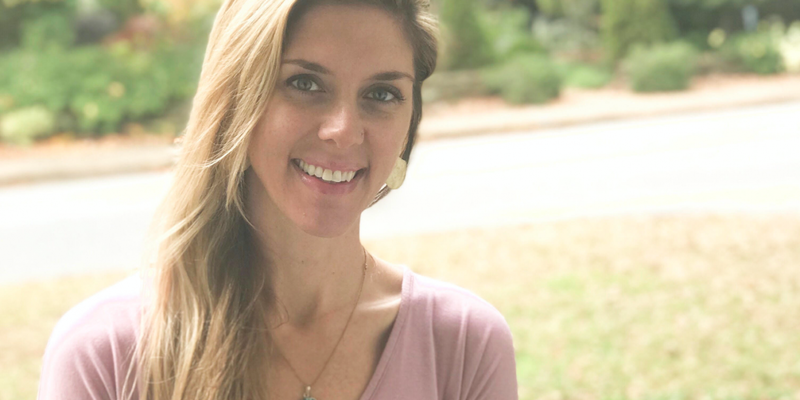 Dana Nunnally is one of the yoga teacher trainees in our Fall 2018 cohort. Read more about her story and why she’s training at M3Yoga. What’s your passion? Well, yoga and music have made my life infinitely better, so there’s that! Also, my family, my close friends, and people with a passion. Favorite pose? Some days it svasana, others it’s Svarga Dvijasana/Birds of Paradise. My mother introduced me to yoga about 15 years ago, but I only dabbled in it until around a year and a half ago. That’s when yoga and I made a commitment to each other, a vrata, if you will, for my own prosperity, mind-body balance and overall health and wellbeing. Vinyasa, hands down. Though a good restorative is a must as well. Put simply, I decided to attend teacher training to be a better student and to help others feel good. Because, at the risk of sounding cliché, yoga changed my life! I had been talking about teacher training for longer than I’d like to admit, so a very dear friend chose M3 for me. It was a twist of fate that I ended up here. I can better answer why I fell in love with M3, but it will be hard to keep that part short. I fell in love with training at M3Yoga Center because of the space it holds for vulnerability and authenticity. I absolutely love that! Also, M3 practices what they preach, ‘Yoga is for EVERY body’. Yoga IS for everybody, and M3 has this amazing diverse clientele, and that is a beautiful thing. Also, the location though… Gorgeous! Ekk…I have to narrow this down to just one thing? Ok. The community! There is so much information to take in, that it can get overwhelming. The hardest part is that I want to know everything about yoga RIGHT NOW, but that’s impossible. I just have to remind myself that this is a lifelong process, and I will be learning about this practice for the rest of my life. I wish I had known that it wasn’t necessary to be so nervous! If it is even a blip on your radar, do it! Dig in! You will not regret it.